Lesson fees will be quoted at the time of booking and may be increased at any time with a minimum of 1 month's notice. Fees may be paid by cash, BACS payment (prior to the lesson) you can also pay by cheque (cheque must clear before lesson start. Unpaid cheques will be subject to a £25 administration fee. Block booking payments are due at the beginning of your ﬁrst lesson. Any refunds will be considered. However, any hours used will then be charged at the hourly pay as you go rate and the remainder will be refunded. Make and conﬁrm all lessons with Jude's Driving School. Where possible, try to give as much notice as possible of dates and times you would like. This will allow you to book your lessons at times that are convenient for you - remember 20 other pupils may also be trying to book lessons in the same week. Lessons will only be classed as booked once they have been confirmed by Jude's Driving School. Lessons can only be booked if the pupil can certifiy that a valid suitable licence is held to drive the tuition vehicle. Pupils must inform the instructor immediately if they receive any endorsements on their licence during the period they are receiving tuition. Jude's Driving School can book the practical driving test on your behalf if you want too? However you will be required to pay Jude the DVSA test fee (currently £62) at the time of booking. A date will be booked that is agreed by both pupil and Jude. 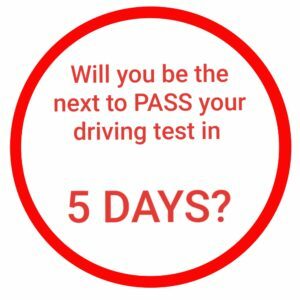 On the day of the test you will be required to pay for a minimum of 2 hours use of car, which will includes the drive to test centre, use of the vehicle during the practical test, post test debrief and journey home. Lesson and test bookings are accepted only on the express understanding that Jude's Driving School will not be liable for any costs, expenses, claims or losses caused or incurred following their refusal or inability to provide a car/ instructor for any reason or test, for the lack of availability of any vehicle/ instructor for a lesson or test or from a cancellation of any lesson or test how so ever caused or for whatever reason. In the event of mechanical breakdown or other difficulties outside the control of the instructor, Jude reserves the right to rearrange lessons at short notice.